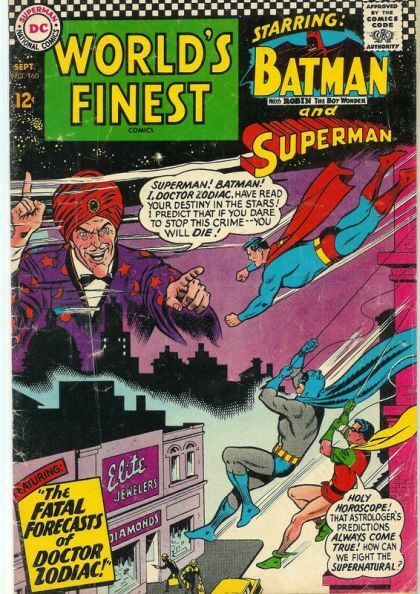 Dr. Zodiac, an ex-carnival mystic and con-artist, finds a book of horoscopes and decides to steal it in order to pull spectacular crimes by predicting Batman and Superman's future. At first, his plan seems to be successful, but later he learns that it is all a ploy by Superman and Batman to lure him and other big-time gangsters into a trap. History repeats itself as mysterious actor George Hale plays Geoffrey Hawkes, but was Hale really Hawkes returned from the dead?